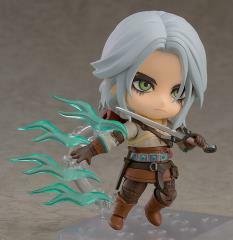 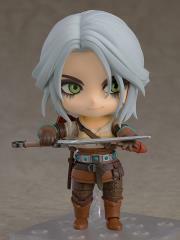 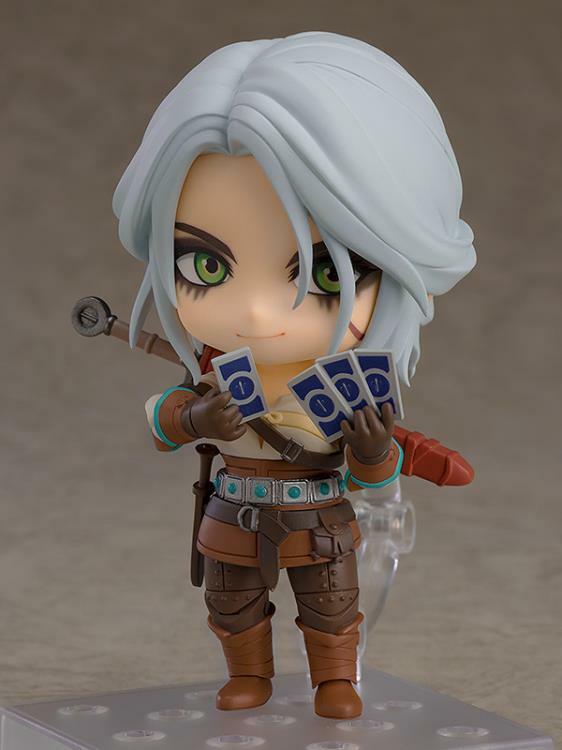 Featuring the adopted daughter of Geralt, Ciri, from the globally acclaimed open world RPG "The Witcher 3: Wild Hunt" as a Nendoroid figure! 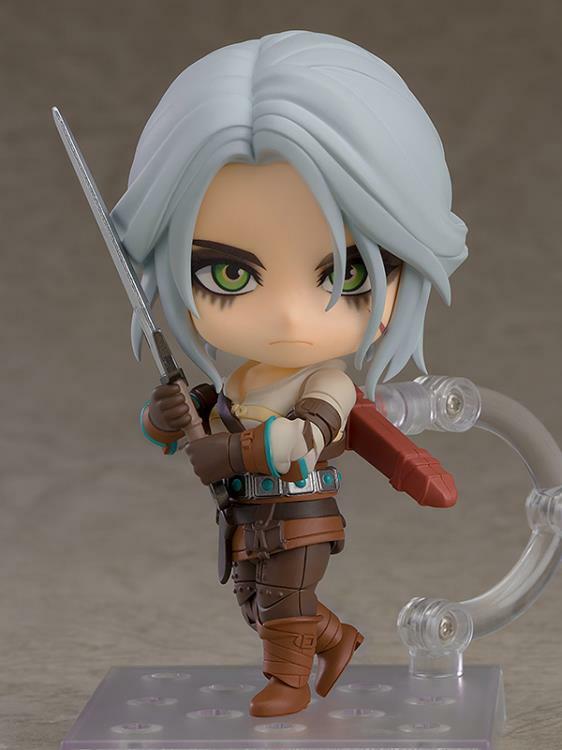 The figure is fully articulated allowing you to easily pose her in combat scenes, and she comes with her sword, Zireael, along with effect parts to show her using her blink ability. 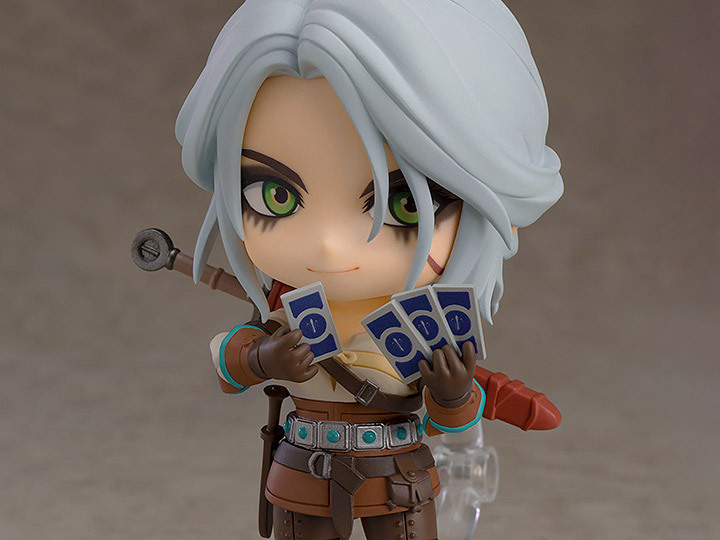 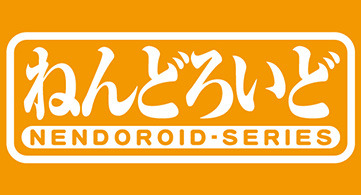 In addition to her serious standard face plate, an interchangeable face plate featuring her mischievous smile is included as well. Gwent cards are also included as optional parts so you can display her playing the popular card game.